The greatest sweetener of human life is friendship. To raise this to the highest pitch of enjoyment is a secret which but few discover. 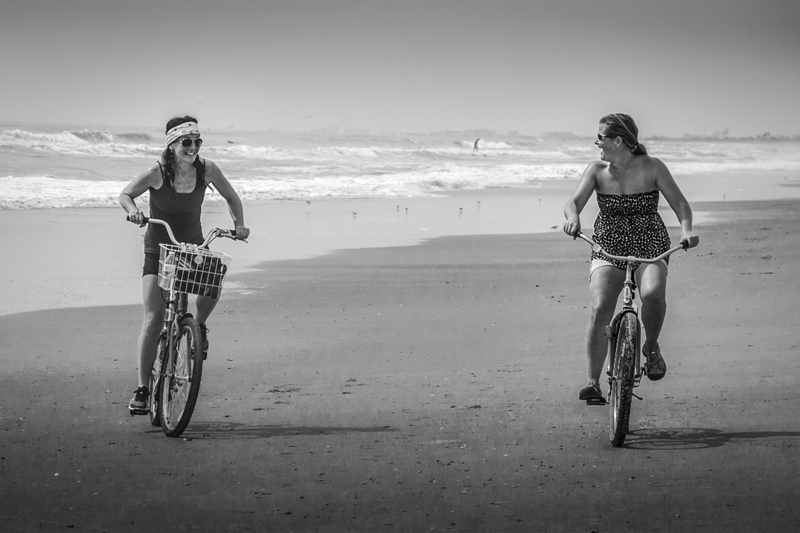 I met these two lovelies on Cocoa Beach today. They spotted my camera and asked me to take their picture. Of course, I was happy to oblige. They were so friendly and full of life. 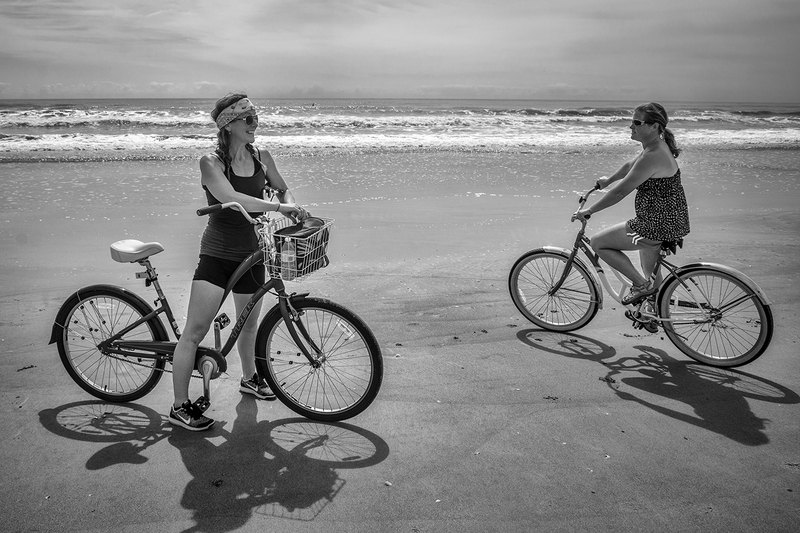 They were clearly having a wonderful time riding their bikes on the beach. I asked the if I could take a few shots of my own. Perhaps they will see the images here. Perhaps they will find out how much their enjoyment of the day and each other flowed over to sweeten my day too. What a lovely memory for you and for those two friends! How fortunate they were you were there and how fortunate you were to come across them. Love the black and white snaps. Nice to view the good things in life. You can clearly see the connection they have…the smiles are beautiful and yes, having so much fun. 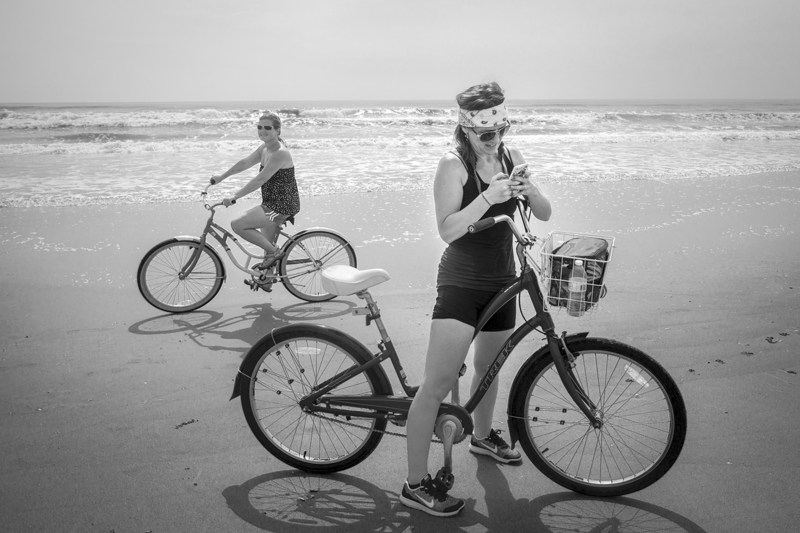 Then I think, of course they are having fun, they are riding bikes on the beach…everything on the beach is better…and Sherry, this is a very sweet post.